Easy Cake Recipes that can be whipped up quickly and tastes like something you purchased from a bakery! Looking for that perfect easy cake recipe that can be whipped up quickly but tastes like something you purchased from a bakery? I have some of the best cake recipes listed below! You can also check out my How to Bake a Cake post for all my tips and tricks for a perfect homemade cake every time! 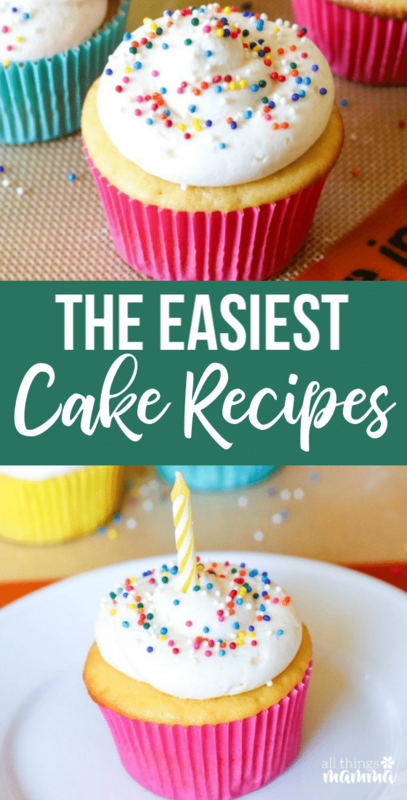 Today I’m sharing easy cake recipes for beginners who want exceptional results with homemade cake recipes from scratch, and even some boxed cake mix recipes. One thing I can’t say no to is a moist cake! I love a light and fluffy cake, topped with sweet and creamy frosting. Let your cake stand out of the crowd and be the must-have dessert at any family gathering or potluck party you attend with these easy cake recipes! 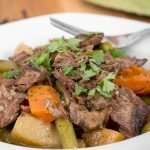 Also, before we get started, learn all about conversions for recipes. Ever wonder how many cups in a quart? I got it all listed in one printable sheet for you! 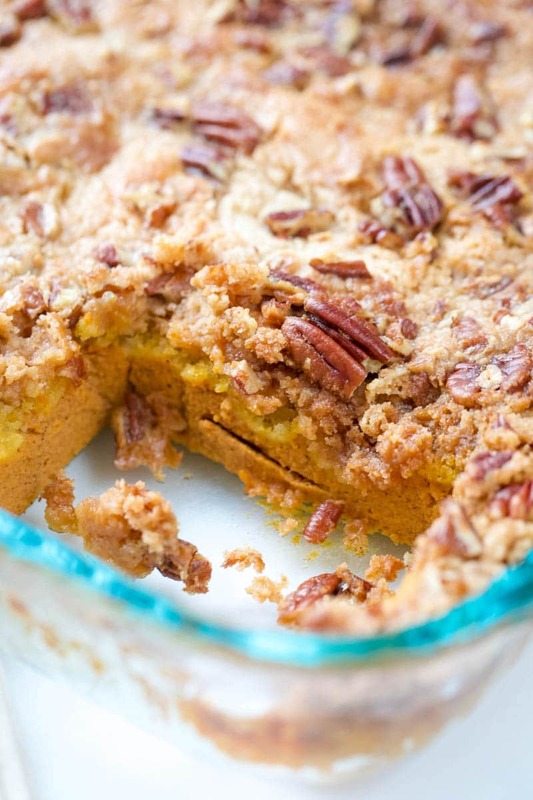 Pumpkin Gooey Butter Cake is one of my families favorites, especially around the holidays and fall season. This is like a layer cake that is absolutely sweet, gooey, and melt in your mouth delicious. This Heath Cake recipe is so easy to make. A moist chocolate cake topped with whipped topping, and little crumbles of Heath candy bars for the toffee crunch. Airheads Candy Cupcakes are decorated with colorful Airhead candies. Kids especially love these sweet cupcakes. Perfect for birthdays or after school treats. Never underestimate the dump cake! 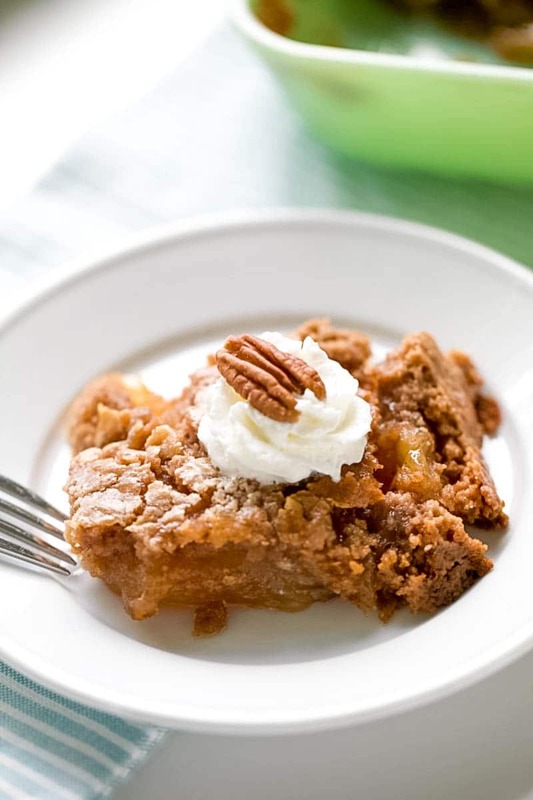 Here is an Apple Dump Cake that is so easy to pull together for those last minute guests that come with little notice. Whip this up and have a sweet treat to slice up and serve while you visit. 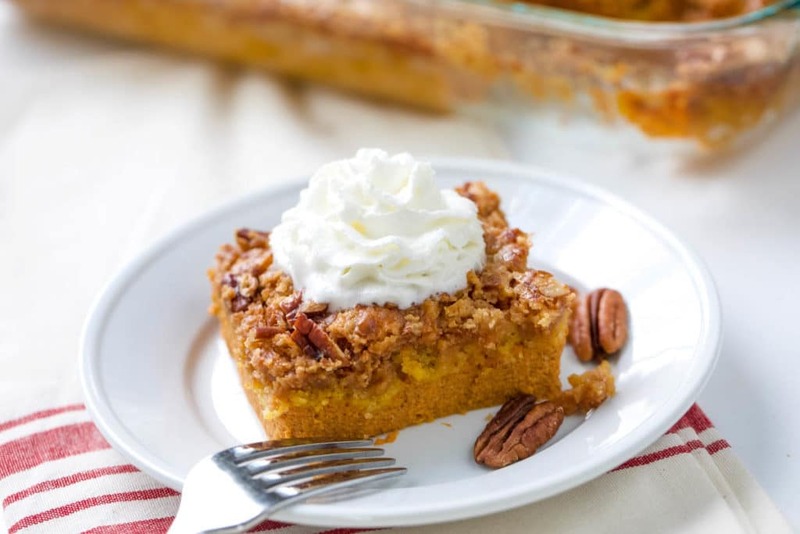 Pumpkin Dump Cake is one more recipe that is one you need to add to the list. Canned pumpkin give this cake a really moist and creamy texture, add a dollop of whipped topping and you have a cake perfect for holiday parties. Nothing beats a good Pumpkin Cupcake, add on a pumpkin spice cream cheese frosting and watch these go from outstanding to irresistibly good. Grab that bottle of 7Up and make a 7Up Cake that is light, airy, and is made with a boxed cake mix. No one will ever no, you dress up the boxed cake mix so well it tastes homemade. You have never had the Best Red Velvet Cupcakes unless you have tried my recipe. These look like a bakery and taste even better than they look. Light, fluffy, and the perfect red velvet flavor paired with frosting in each bite. Ice cream cupcakes are a unique way to serve up a cupcake. You actually pour the batter into ice cream cones. They are so good, and the perfect way to hold the cupcake with no mess. Check out my Halloween ice cream cupcakes. Here you have Coconut CreamCupcakes, with the perfect amount of flaked coconut on top. Each bite is a sweetness that soothes your sweet tooth. 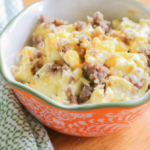 You use a boxed cake mix for this recipe as well, and then dress it up to transform the flavors. 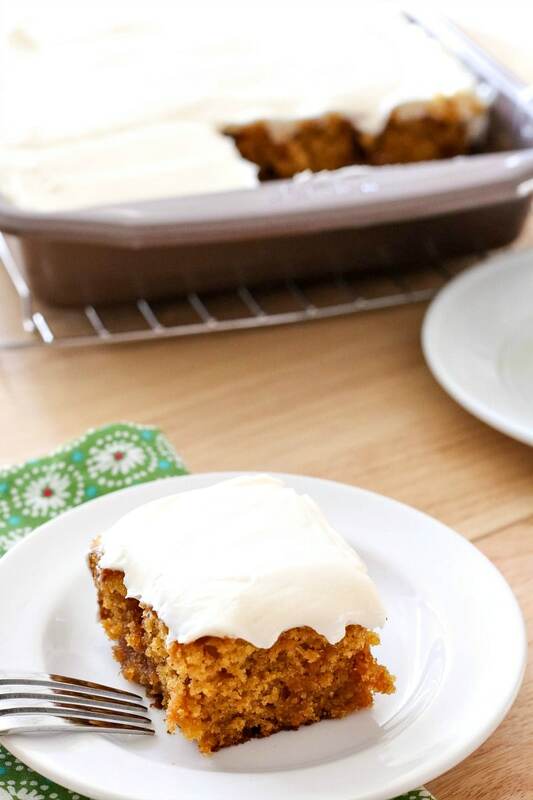 Calling all carrot cake lovers! Here is a Carrot Cake Cupcakes with Cream Cheese Frosting that is the spiced up with flavor, and is perfect for any bake sale, birthday party, or treats for after school. Dr. Pepper Cherry Cola cake is a classic one to make. We make this so often because the can of Cherry Dr. Pepper really adds in a nice element of lightness to the cake that can’t be found without it. 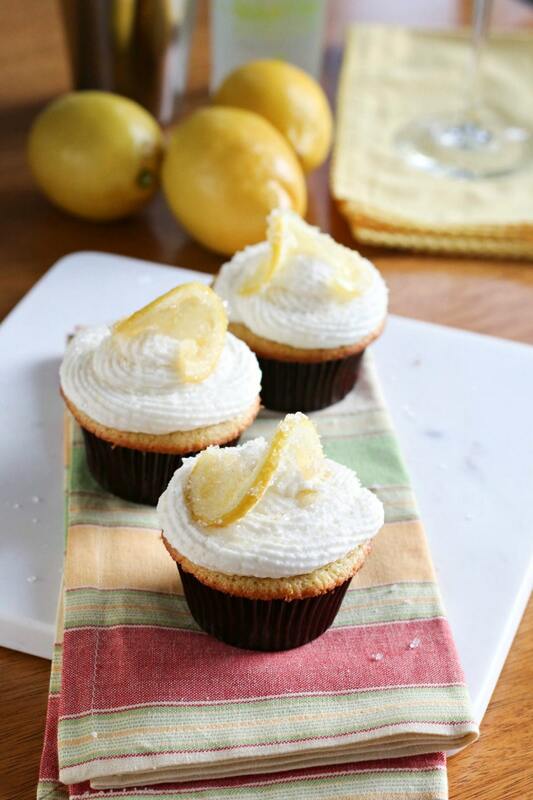 LemonDrop Cupcakes give you that citrus tang paired with the right amount of sweetness. These lemon cupcakes are a must have summer and spring cupcake for gatherings. Old Fashioned Red Velvet Cake is one that your grandma or mom might have made. A no-fail tried and true red velvet cake recipe. This recipe is a great addition for your Valentine’s Day dessert. Have you ever had a Hummingbird Cake? This cake has pineapple, bananas, spices, nuts, and more that is layered in a cream cheese frosting. A really traditional cake recipe. This Rainbow Layer Cake is a wonderful birthday cake idea. Each layer is a bright and bold color that is layered with creamy and flavorful frosting. Slice into it for a delicious cake that will win over kids everywhere. For more easy dessert recipes try these recipes next! 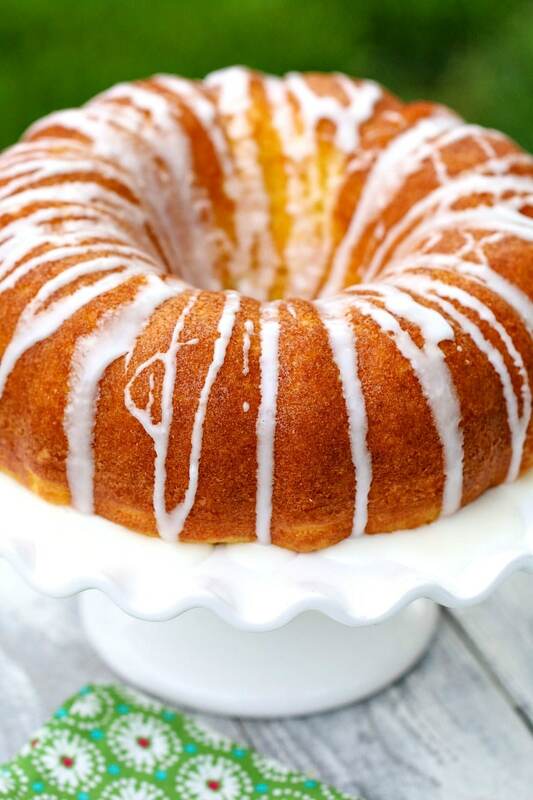 Cannot find your recipe for Pineapple Orange Pound Cake, as shown on the box of Pineapple Cake Mix.